The Arnica plant is renowned for its powerful healing properties. 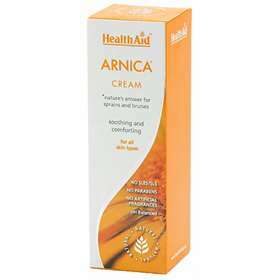 Health Aid's Arnica cream has been formulated with high quality Arnica, it's quickly absorbed, non-greasy and helps to soothe and restore your skin's natural healthy texture. Apply sparingly to the appropriate area and gently massage until fully absorbed. Suitable for face, hands and body. Avoid contact with eyes and sensitive areas. If contact occurs, rinse thoroughly with clean warm water.